Time flies so fast. We are 79 days away from Christmas. I'm juggling between completing work and fixing the house to make space for our traditional Christmas Decors. I wish I could find more time to do other things. Instead of going out even brave the heavy traffic, I choose to save my time, money and effort. I find online grocery shopping helpful. Honestbee helps me save time, cost and effort. I don't have to walk around the supermarket, line up on the counter and carry loads of grocery items. I used to doubt online shopping. What if I got an overripe banana or nearly expired bread? What if they did not handle my goods carefully. Then I realized how online grocery shopping saves my time. Honestbee staff will do the shopping for you. They pickup the items you order, line at the cashier and delivers to your doorstep. 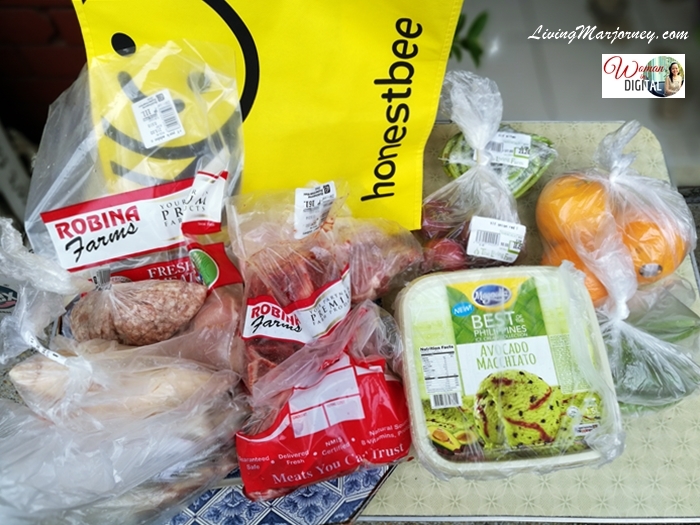 Honestbee partners with Robinsons Supermarket, Fresh Options Meatshop, Solo Meat Group, G-stuff, The Straits Wine Company, Harvestime, Figures of Beans, AWC, Incredible India, and even baby products from Chicco. They don’t stockpile their items in a warehouse, so the product gets to you fresh and handpicked by their “worker bees” upon order and according to your specifications. 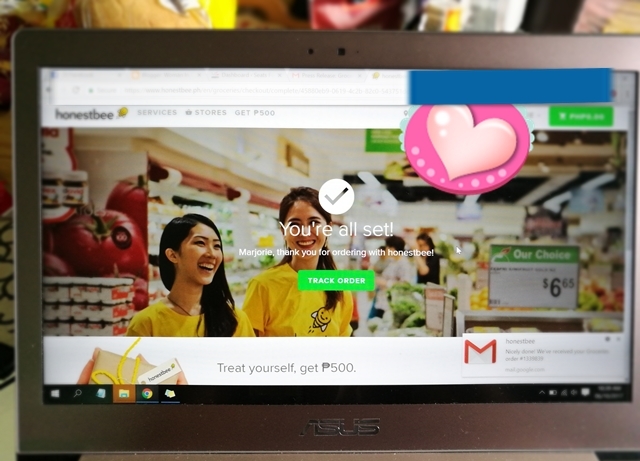 Honestbee app is available on Apple or Google Play Store but I did my grocery shopping on my laptop. You can also do your shopping using the desktop, iPad, tablets or other Android devices. 1. It's hassle-free. The app is easy to use and follow. 2. There are several merchants that caters to everyone's need. They partnered with Robinsons Supermarket. 3. Grocery prices are almost the same from the market price. 4. The "search" option is very helpful in looking for a specific brand or product. 5. There's a useful alerts for items that are on sale, such as the Robinson’s Daily Savings feature in the Promotions tab. For delivery, you can choose from different time slots and order few days in advance. Delivery hours are from 10am - 8pm daily. My orders came in less than 2 hours. There is a P99 shopper fee. Free delivery is offered for a minimum spend of ₱1,500. Otherwise, a delivery fee of ₱99 applies. The goods were delivered by a friendly rider and he asked me to sign electronically upon receiving the items. My Honestbee grocery bag has oranges, vegetables, mostly meat and Magnolia ice cream for the weekend. I ordered beef for Caldereta, pork, chicken since I'm craving for chicken curry and fish. If you noticed, each product were individually pack. I prefer cashless transaction so I paid using the credit card. 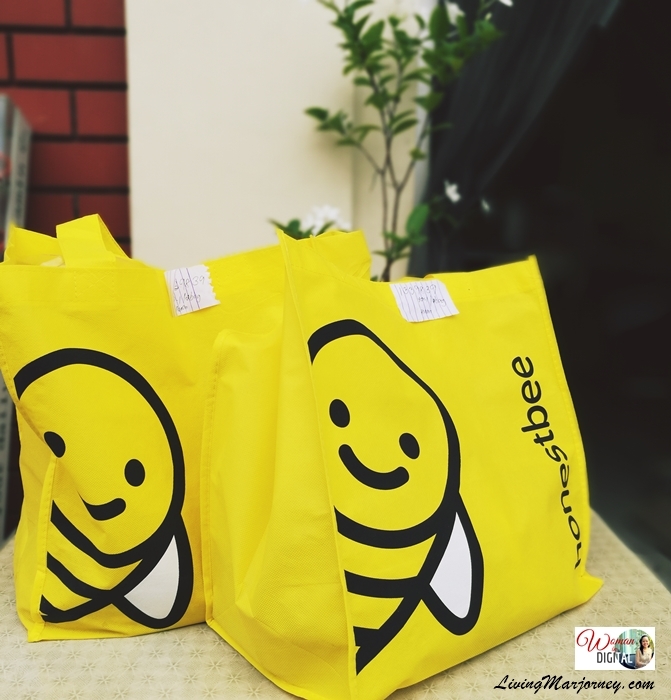 Aside from your groceries, Honestbee can also deliver food from Goodah, Yoshinoya and S&R Pizza. Start your grocery shopping by visiting honestbee.ph, Follow @honestbeeph on their social media account. For you to personally experience how convenient it is to shop via Honestbee, I'm giving away P500 off when you purchase P2,500, just click here or use the code MARJORU9635.